Tickets to luxury get cheaper as Mercedes, BMW and Audi launch compact cars. When Tilak Ajmani, a businessman in Ranchi, was shopping for a car for his son last year, it was a toss-up between two of the world's top luxury brands: Mercedes and BMW. After some research, he zeroed in on a compact sports utility vehicle (SUV) by BMW India and Mercedes-Benz India's entry-level sedan. Both offered the best German technology as well as all the bells and whistles money can buy. Ajmani finally decided on a BMW X1. The reason? Simple, it was Rs 6 lakh cheaper. Ajmani is one of a growing section of rich Indians top automakers are targeting with a host of small luxury cars that give people bragging rights, but at a much cheaper price. Most compact luxury hatchbacks, sedans and SUVs start at Rs 20 lakh, while top-end luxury cars could be between 20 and 50 per cent more. A report by Kotak Wealth and ratings firm CRISIL shows that 34.5 per cent of luxury cars are owned by professionals and women. "More and more young and successful people have the money to own these cars," says Philipp von Sahr, President of BMW Group India. BMW was the first to ride into India's compact SUV market in December 2010, and has already notched up sales of about 2,500 X1s a year. Since then, both Mercedes and Audi have also rolled out smaller cars for the growing number of upper middle class, young professionals and women with oodles of cash. Between the three carmakers, they have five compact cars in India. Audi took on the X1 with its own compact SUV, the Q3, in February while Mercedes has its B-Class compact tourer, a mix of an SUV and a sedan. BMW launched the 1-series hatchback in September while Mercedes came out with an A-Class hatchback in May. Even Volvo has joined the race with its XC60, a compact SUV. "There are some segments which have developed in the last couple of years," says Eberhard H. Kern, Mercedes' India Managing Director and CEO, referring to the compact luxury segment. "Look at sound systems, electronic items, everything is going towards compact and we see the same in automobiles." Luxury cars account for just one per cent of India's automobile market, but automakers are betting on smaller cars in this segment to bump up sales. With the US car market stagnating and the European industry in the grip of a slowdown, automakers had to look at new growth markets. China was an obvious choice with car sales of 19.3 million in 2012, but when none of the German makers could crack the luxury hatchback market in China, India was the next option. It is the world's largest hatchback market with 1.8 million cars rolling out of its factories a year. And demand is unlikely to slow even though the economy is in a funk. Top-end sedans and saloons such as the Mercedes' S-Class, BMW's 7-Series and Audi's A8 will continue to rule the luxury cars segment. But carmakers also expect an increasing number of buyers to fork out about a quarter of a crore for smaller versions of these brands. Industry experts say India's luxury car market is likely to quadruple by 2020 from a little above 20,000 cars last year. 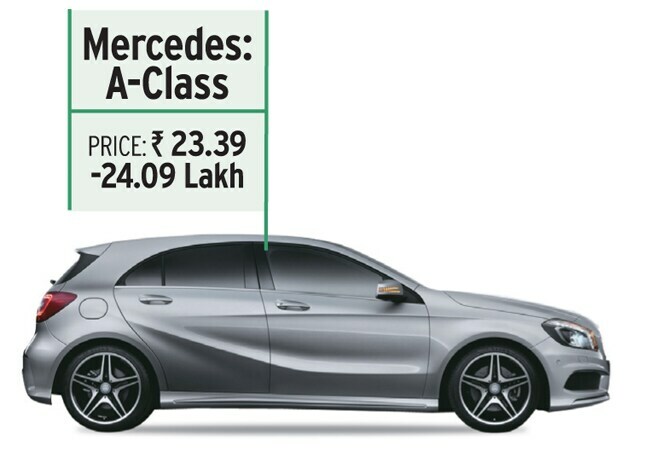 Mohan Mariwala, Managing Director of Auto Hangar, a Mumbai-based Mercedes dealership, says about 40 per cent of his customers are looking at new-generation cars: "We are getting customers who would otherwise never walk into our showrooms." At one time, luxury carmakers would probably have scoffed at the idea of entering the small-car market. Some industry experts say they are taking a big risk by stepping out of their traditional strongholds. "It is a massive risk with these cars," says Akshay Bhalla, Managing Director at Protiviti Consulting. "Bringing these cars at these price points, and if they don't do well, it is a great brand value loss." But the carmakers are already in top gear. Audi booked 500 Q3s within just five days of its launch, and Mercedes sold more cars than Audi and BMW in July. 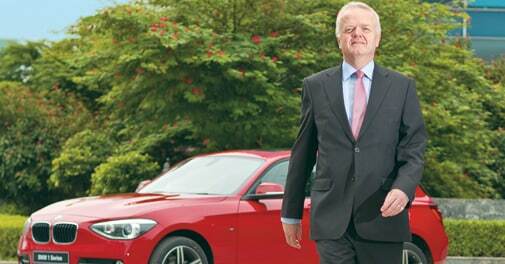 A quarter of Mercedes' sales come from the compact segment and Kern expects that to increase to 40 per cent by 2016. The German carmaker has two more compact vehicles in the pipeline: the CLA, a compact sedan, and the GLA, a compact SUV. "The compact luxury segment is attracting a new buyer to the industry; however, this is not taking away the buyers from our existing segments," says Joe King, head of Audi India. Industry experts say some new compact luxury car buyers are people who would have bought a Toyota Camry, which starts at Rs 24.77 lakh, or a Honda Accord, which is Rs 21.14 lakh for a top model. Amit Kaushik, principal analyst at IHS Automotive, says there is huge potential in this segment: "Luxury carmakers have started addressing the emerging community which is a large buyer base." Clearly, small wonders on wheels are big in India.